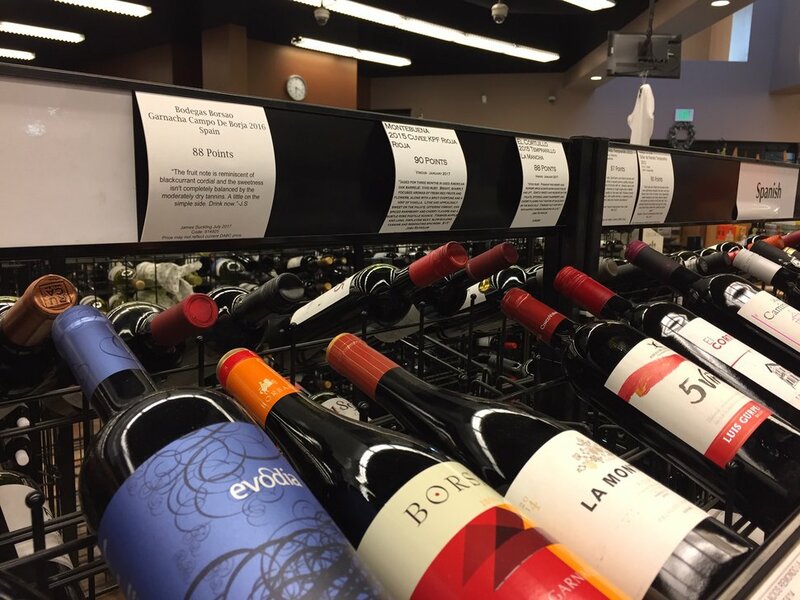 (The Salt Lake Tribune | Kathy Stephenson) Many Utah shoppers like to read the reviews and rating cards at the state liquor stores before making a purchase. Utah liquor stores may get to keep those consumer-friendly rating cards, after all. On Tuesday, alcohol officials said they had changed their minds on “shelf-talkers” and are now looking for a way to keep the product review cards — which many consumers rely on when buying wine — without requiring additional work for liquor store employees. “We want to find a win-win situation,” Sal Petilos, executive director of the Utah Department of Alcoholic Beverage Control, said Tuesday. Earlier this month, DABC officials informed wine brokers and vendors that after Dec. 31, they no longer would be allowed to post the 3.5-by-4-inch cards that give brief reviews and scores from industry magazines such as Wine Spectator and Wine Enthusiast. The agency decided to terminate the review service because a few vendors and brokers failed to update the cards in a timely manner. 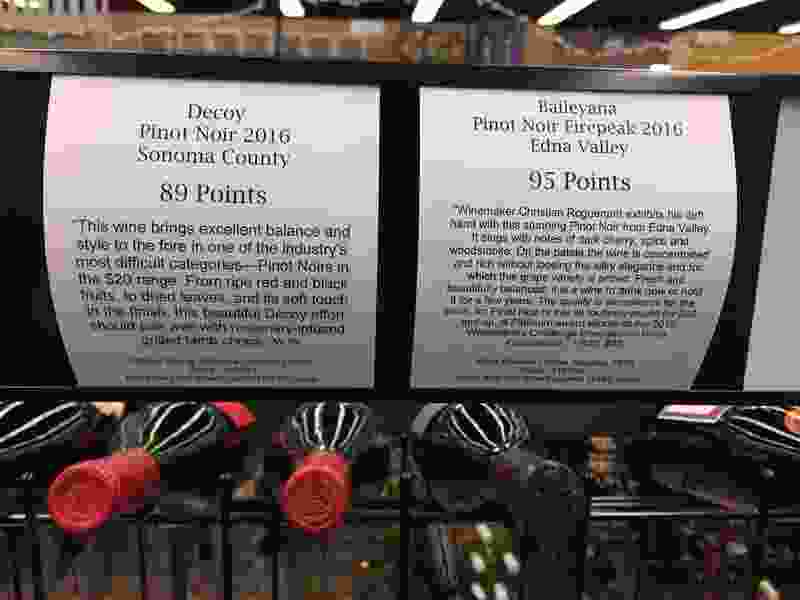 Savvy customers have accused the agency of “bait-and-switch” when a card has a review for a different vintage (year) than the bottle on the rack. Wine brokers — the liaison between wineries and importers who make the wine and the state that sells it — were upset about the DABC decision, saying the shelf-talker program is the only approved education and marketing material for wine and spirits allowed in Utah’s state-owned and -operated stores. Under state law, the DABC is prohibited from advertising or promoting liquor. However, brokers, vendors and producers are free to promote the products they sell or make. Currently shelf talkers are only posted for top-rated wines. If a new program is implemented, it also would look at making the cards available for liquor and beers that have received awards or ratings from reputable publications, Petilos said. Gary Clark said when he served as the assistant store manager for the Salt Lake City Wine Store at 255 S. 300 East, it was his job to review the shelf talkers for accuracy and compliance before they were posted. “I know firsthand that customers appreciated this service,” he wrote in a Public Forum letter to The Salt Lake Tribune. Clark abruptly resigned three years ago, and the DABC never appointed anyone to continue the function, he wrote. During Tuesday’s meeting, several members of the DABC advisory board also said they were against terminating the consumer-friendly program. “The DABC has a responsibility to customers to make it a good experience,” said Zane Holmquist, executive chef at Stein Eriksen Lodge in Park City. The solution, he added, doesn’t have to be complicated. “Require the tags to have an expiration date,” he suggested. Employees can then remove expired tags when stocking shelves “and it falls on the vendor” to submit a new card. “I would hate to see it go away,” Ericka Story, a Utah wine broker, told the board. She offered to be on the review committee and said most brokers would welcome a revised shelf-talker program rather than an outright ban. She may get her wish.